Kallisto brings promotions, public service announcements and interactive ads to the mobile phone. We provide full creative and software development services. Visto, maker of the mobile phone email program, MyMail, is delivering a custom-made promotional presentation to customers using Kallisto's player. The interactive sales tool allows users to see screen shots of the working software, read features and benefits, learn about ordering information, and connect directly to an order center with a phone call. Using Kallisto Composer, the promotional information can be quickly customized for different carriers and different languages. 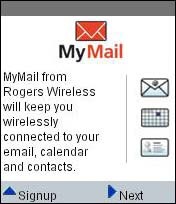 © Visto and Rogers Wireless 2005. 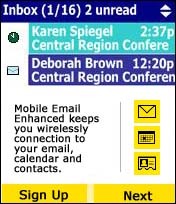 Visto continued its mobile promotion campaign with a version of their product demo designed and developed for the Nextel version of Visto's email client. The images and message have been customized for the Nextel brand, but the underlying player is identical to the Rogers version. © Visto and Nextel 2005. 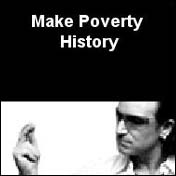 At the 2005 TED Conference, the rock musician Bono received a "wish" that he used to ask for technical assistance in announcing the "Make Poverty History" effort. As part of Sun's contribution, Sun commissioned a proof of concept to show how a mobile application could provide in-depth information to concert goers. The presentation opens with an animation based on a previously produced video and then provides in-depth background and contact information. © 2005. 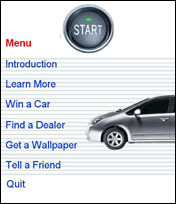 This demonstration advertisement produced on spec shows how an interactive ad can deliver a brand message and invite the user to take further steps. The presentation opens with an animation depicting the most important features of the Toyota Prius as they appeal to young adults. Then an interactive section provides in-depth information, local dealers based on the user's zip code, and "Tell A Friend" viral marketing.